UD's Wilfred Chen Group describes their results in a paper published Monday, March 12 in the journal Nature Chemistry. This technology could lead to the development of new cancer therapies and other drugs. "Once we had designed the system, we had to first go into the lab and attach these DNA strands to various proteins we wanted to be able to control," said study author Rebecca P. Chen, a doctoral student in chemical and biomolecular engineering (no relation to Wilfred Chen). The custom sequence designed DNA strands were ordered from a manufacturer while the proteins were made and purified in the lab. Next, the protein was attached to the DNA to make protein-DNA conjugates. 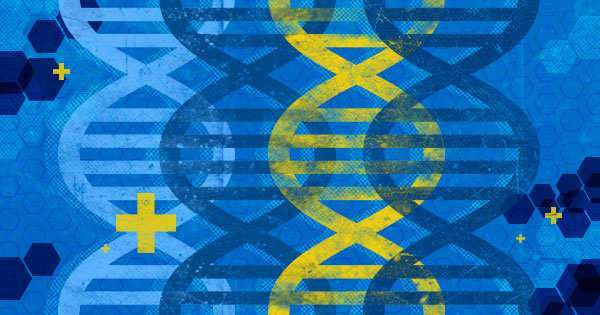 "Previous work has shown how powerful DNA nanotechnology might possibly be, and we know how powerful proteins are within cells," said Rebecca P. Chen. "We managed to link those two together." The team also demonstrated that their DNA-logic devices could activate a non-toxic cancer prodrug, 5-fluorocytosine, into its toxic chemotherapeutic form, 5-fluorouracil. Cancer prodrugs are inactive until they are metabolized into their therapeutic form. In this case, the scientists designed DNA circuits that controlled the activity of a protein that was responsible for conversion of the prodrug into its active form. The DNA circuit and protein activity was turned "on" by specific RNA/DNA sequence inputs, while in the absence of said inputs the system stayed "off." Using the newly developed technology, researchers could target any DNA sequence of their choosing and attach and control any protein they want. 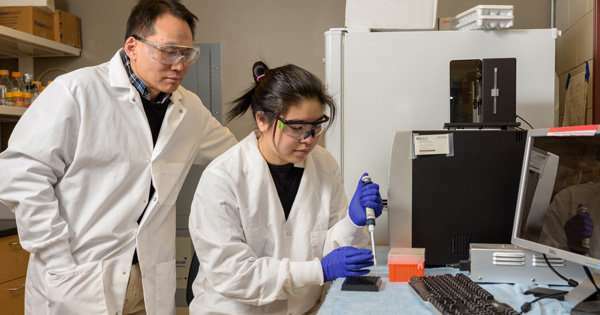 Someday, researchers could "plug and play" programmed DNA into a variety of cells to address a variety of diseases, said study author Wilfred Chen, Gore Professor of Chemical Engineering. "This is based on a very simple concept, a logical combination, but we are the first to make it work," he said. "It can address a wide scope of problems, and that makes it very intriguing."